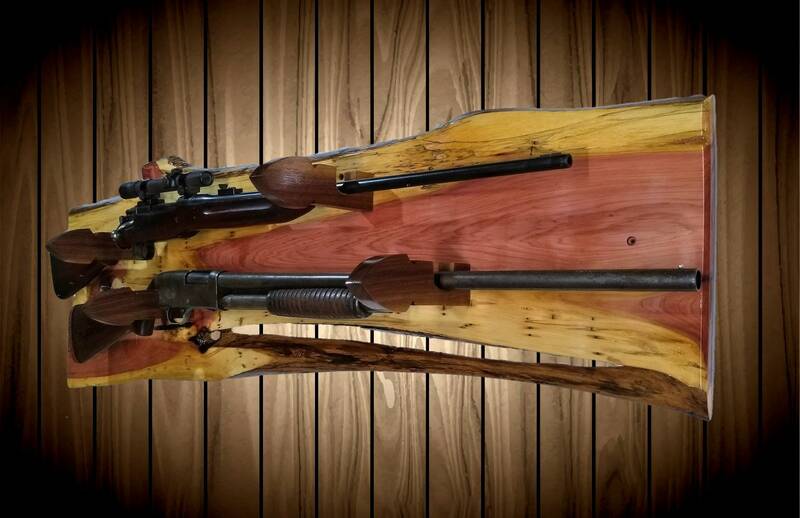 Beautiful Rustic, Knotty Cedar Gun Rack With Many Unique Features. 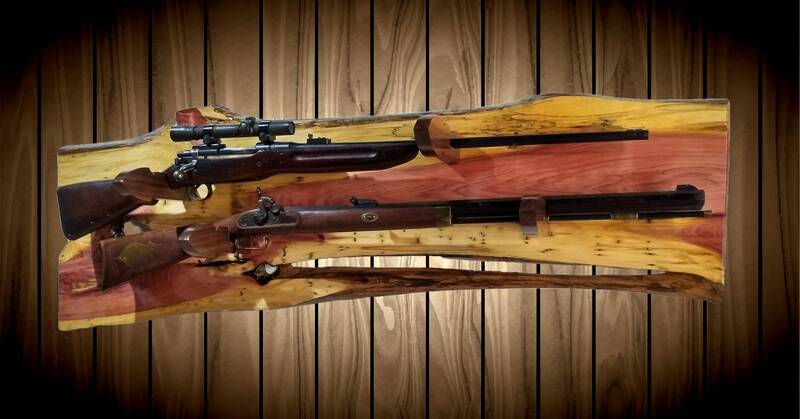 Be Proud to Display Two Of Your Favorite Guns with This One of a Kind Rack. 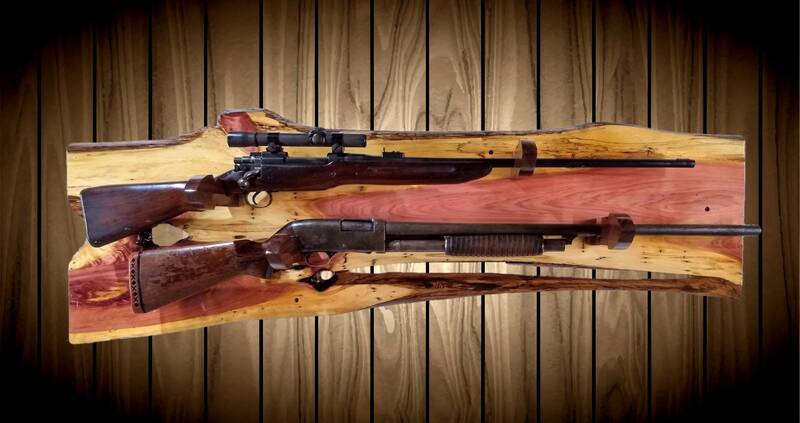 Solid Walnut Arrowhead Gun Hangers with Brown Felt. Offset and Dimensional. 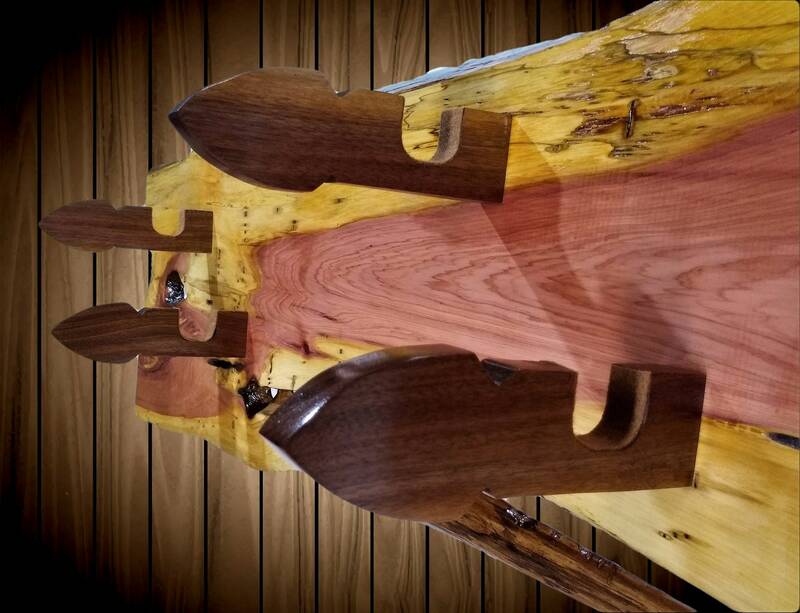 Three Coats Natural High Gloss Polyurethane Finish. 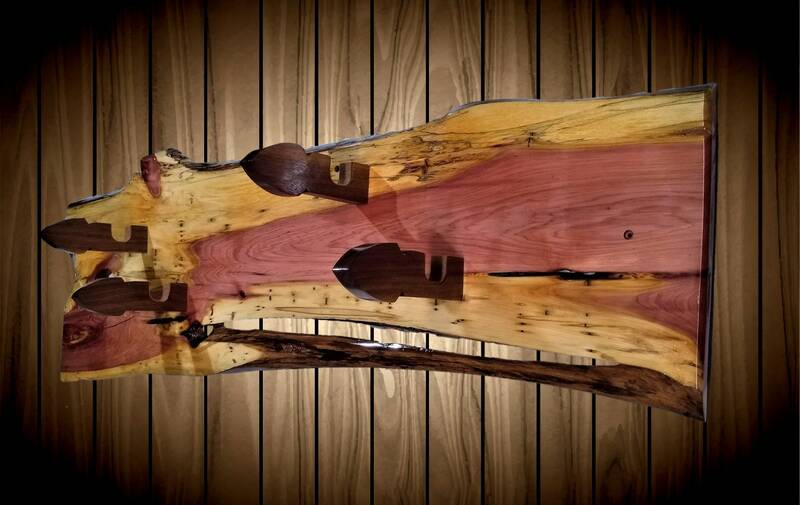 Tung Oil on Back (helps keep wood stable). 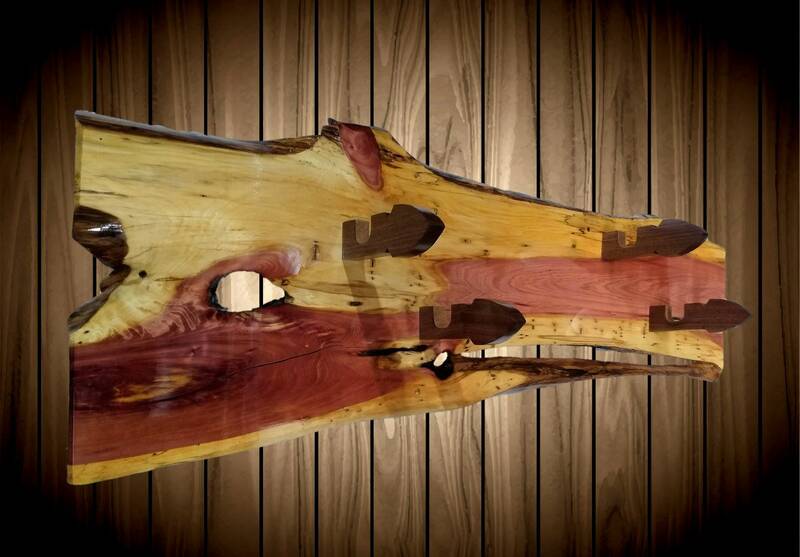 Live Edge with Natural Worming and Weathering.